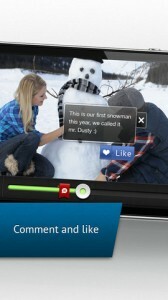 ClickBerry Tagger is an iPhone app developed by Clickberry Media/Actio-Media. 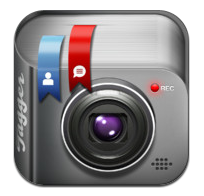 ClickBerry Tagger offers a simple, but much-needed, service to iOS users: the ability to tag yourself or friends in a video. Gone are the days when you’d share a video with friends and family and have to specify where to find yourself. You’ll never have to say something like “Skip ahead to the 2-minute mark. You can see me and my friend Mark in the second row of bleachers (he’s in the red hat. 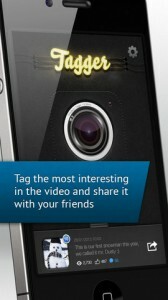 )” Instead, you just use ClickBerry Tagger to tag yourself, your friends, or anything else you want in the video. 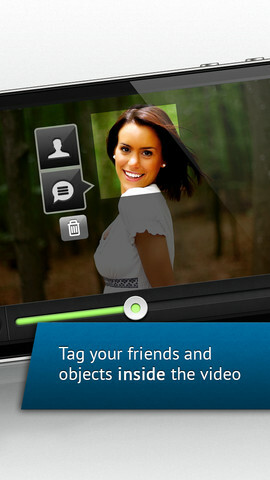 Friends who watch your Tagger videos can see your text-based messages and tags, and can also “Like” the video. 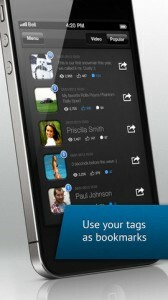 Tags can be easily shared via Facebook or Twitter. Not only can you leave notes right inside the video, but you can also add profile links as well! Given the fact that ClickBerry Tagger is all about incorporating Facebook profiles and Likes into the tagged videos, it shouldn’t be surprising that Facebook login is the only way to use this app. However, there are definitely some users who will avoid the app because of that. It’s a shame, because this is a solid app that makes good use of embedded Facebook functionality. Overall, ClickBerry Tagger has a great user interface. The app is simple to use, and looks utterly beautiful. The tag system creates an elegant bookmarking history to let you easily find videos at a later date. ClickBerry Tagger is poised to do for video sharing what Facebook did for photo sharing all those years ago. If you want to stand out from a crowd–literally–then ClickBerry Tagger will make sure you’re properly tagged and visible. ClickBerry Taggeris compatible with iPhone 3GS, iPhone 4, iPhone 4S, iPhone 5, iPod touch (3rd generation), iPod touch (4th generation), iPod touch (5th generation) and iPad. Requires iOS 5.0 or later. This app is optimized for iPhone 5.